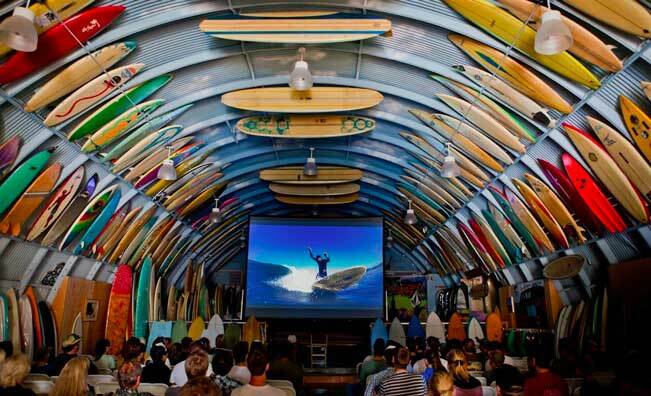 This weekend is the San Diego Surf Film Festival and if you’re attending, you might want to come to this community event. On Saturday morning (8-10 AM) the festival is hosting a beach clean-up and handplane demo at La Jolla Shores. As a community driven event we’re inviting everyone to give a little back to the environment. Join us at La Jolla Shores for a beach clean up as part of the San Diego Surf Film Festival’s events! The wonderful H2O Trash Patrol will be hosting with us and bringing buckets & trash pickers BUT if you have your own please BringYourOwnBucket! Pannikin will be providing the coffee, there will be sweet treats from Healthy Creations, and we’ll be there with some Saturday stoke. We’ll also be giving away four pairs of tickets to the film festival to the biggest trash collectors of the morning. Look for the SDSFF and H2O Trash Patrol banners and a pop up tent set up on the grass near the north end of the La Jolla Shores parking lot. The bodysurfing demo will be in association with *enjoy handplanes with all types of handplanes to try out.